An examination of multiple primary cancers can provide insight into the etiologic role of genes, the environment, and prior cancer treatment on a cancer patient’s risk of developing a subsequent cancer. Different rules for registering multiple primary cancers (MP) are used by cancer registries throughout the world making data comparisons difficult. 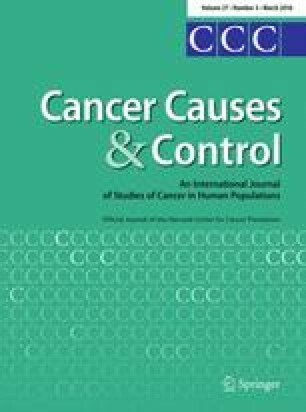 We evaluated the effect of SEER and IARC/IACR rules on cancer incidence rates and trends using data from the SEER Program. We estimated age-standardized incidence rate (ASIR) and trends (1975–2011) for the top 26 cancer categories using joinpoint regression analysis. We would like to thank Ms. Jessica King for help with the joinpoint regression analyses of the SEER 9 data. There are no financial disclosures from any of the authors.